Today’s voice assistants are convenient but come with some privacy concerns. Many users are understandably worried about companies keeping records of everything you say to these assistants. If you’d like to stop Google from always listening for a wake word on your phone, here are a few different ways to do so. Please see our full explanation on how Google records on Android Your Android Is Secretly Always Recording: How to Stop Google From Listening Your Android Is Secretly Always Recording: How to Stop Google From Listening How is Google listening on your Android phone? Can you turn off this Google recording? We take a look at the facts and show you how to stop Google from listening. Read More for more information. Open the Settings app and select Google. Tap Search under the Services header. From here, select the Voice entry. You’ll see an option called Voice Match. Depending on your device, this may be “OK Google” detection instead. Either way, select it. Turn off the Say “OK Google” any time switch. You can also disable the While driving slider to block OK Google for Google Maps and Android Auto Do Everything in the Car Hands Free With Google Now Do Everything in the Car Hands Free With Google Now You don't have to text and drive. In fact, you can do a lot with only your voice while driving -- even more than texting! Read More , if you want. Head to Google’s Activity Controls page and log into your account if prompted. Scroll down a bit and find Voice & Audio Activity. 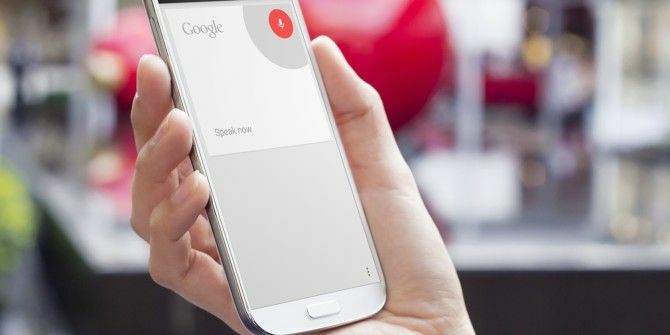 Turn off the slider and you’ll stop linking your voice recordings with your Google account. Open Settings again and tap Apps & notifications. Select See all X apps to see everything you have installed. Move down to the Google app and select it. Tap Permissions and disable the Microphone slider. Explore more about: Google Assistant, OK Google, Smartphone Privacy. Thanks but as I disabled the microphone ,now one more irritating thing occurs ,a webpage opens up- "to keep going enable the permission....""
My Sony Xperia XA Ultra does not have the "Search" option under Services, and I do not think I could even find a way to talk to Google using my microphone with that phone. Ironically, I installed the Microsoft Launcher and it comes with Cortona, amazingly I can use my microphone to talk to Cortona, same way as users talk to Google. No idea why Sony blocks Hello Google when I could not even find a Sony equivalent, yet the Cortana works lol. Before Cortona I thought my phone did not support smart assistant using microphone. I turned off the "say OK Google at any time" switch and it was still listening. I had to revoke microphone permissions in order to keep Google from listening all the time. Installed D-Vasive Pro in order to keep tabs on all microphone (and camera, Bluetooth, etc) usage.